MiniModelPaint Studios: Sprue Cutters Union #26: The Glue that Binds us Together. Sprue Cutters Union #26: The Glue that Binds us Together. I use any liquid poly cement I have lying around at the time. My Revell Contacta ran out, so I bought some of the Humbrol equivalent. It does exactly the right job, although I keep the syringe clean by inserting a long sewing pin into it to prevent the poly cement from drying in the nozzle end. My CA weapon of choice is Zap a Gap. It comes in thin, medium and thick, and I currently only have the green medium version - the others ran out or dried in the bottle. I used to keep them in the fridge for freshness, but my wife saw the end of that. Not cheap, so store carefully. 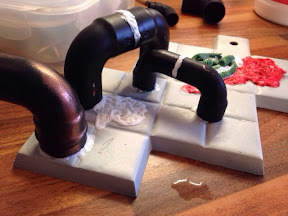 These copper pipe-ends are stuck with a belt-and-braces approach of green stuff putty and PVA/CA. You get a quick-set and a durable cure. 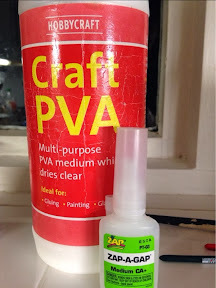 You can also use a PVA/CA mix for special effects gore - I mixed a red paint into the PVA before adding the CA. The reaction, along with some wooden stick stirring, gives a nasty, porridge-like texture. Nice for splatter. I also use zip-kicker to accelerate CA drying, but sometimes find it makes the glue brittle, and parts don't stay together for long. Sometimes a pinned part benefits from a small dot of green stuff for the long-cure, but sets quickly with an accelerated CA joint. Milliput is a like an industrial green stuff. 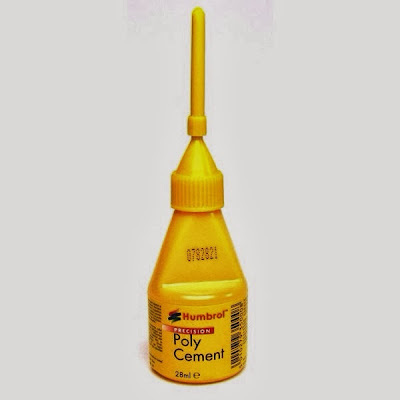 It's not glue, it's a putty, and could be used to sculpt stuff. It's also pretty decent at joining and filling, and sets rock hard. 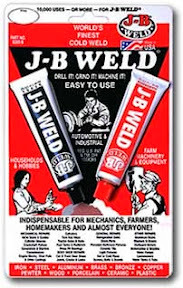 JB Weld is a similar beast to Milliput, but is thinner. It's used in automotive repairs, and is great for holding big resin chunks together. 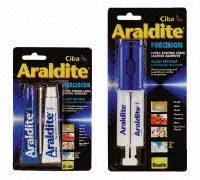 My dad always swore by Araldite when I was a kid. No reason not to follow his footsteps. It's great, but takes forever to cure. Make sure your parts are held together with elastic bands, clamps or clever jigs (don't trust that gravity won't screw it up for you). It's now available in a handy single-mixing syringe, so you don't have to measure and guess! Last on my list is the magical Micro Kristal Klear from Microscale. If you're fixing clear parts - canopies in particular, you don't want the plastic to fog up. CA and liquid poly are awful for this. Liquid poly melts the surfaces together, and CA reacts with the clear plastic, leaving a nasty opaque patina. 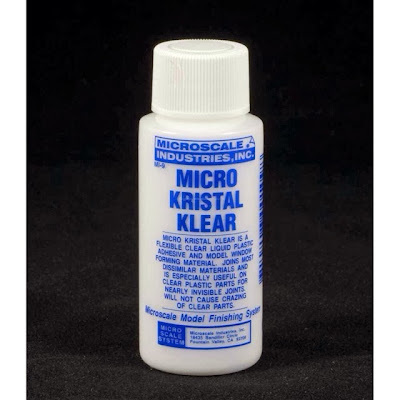 Micro Kristal Klear (there are other similar glues available, but this is the one I use) is formulated to stick without fogging. It works. Simple. So there you have it - my sticky weapons of choice. Below are a few other Sprue Cutters' selections.